Donald Glover is good at everything. 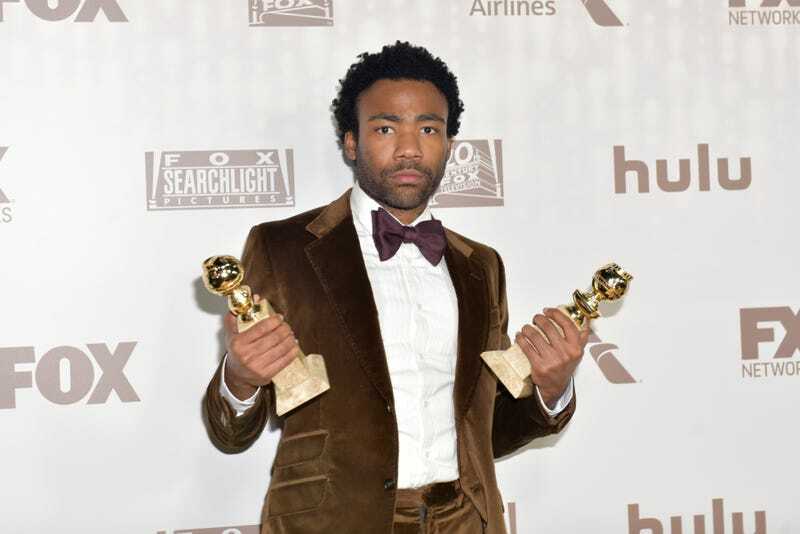 He wrote for 30 Rock, starred in Community, cultivated a Grammy-winning musical persona with Childish Gambino, and created the Golden Globe-winning, zeitgeist-capturing FX series Atlanta. He’s also only 34. And, as a new profile in Esquire outlines, his star is only continuing to rise. Atlanta’s second season drops on March 1, and his turn as Lando Calrissian in the upcoming Solo: A Star Wars Story will mark his highest-profile film role to date (and he was in a Spider-Man flick). There are plenty of reasons to be excited for his take on the role made famous by Billy Dee Williams, but none warm the heart as much as the image of a childhood Glover fixing the cape of his Lando action figure, which, as the article notes, was one of the few black toys a child could find in a toy store at the time. “I had a doll that I slept with—the only black doll in the store—that my mom bought for me. And my dad bought me Lando,” Glover says. Glover was able to pay his father back for that action figure (and his dad’s willingness to let Glover skip school to see the “prequels”) years later, when he brought him to the Canary Islands where production had built an entire city for the film.